Naat Sharif is a way of paying tribute to Holy Prophet Muhhamad sallallahu Alaihiwa salam. Showing respect and love to the last prophet of Allah is obligatory and must for every Muslim. Naat Sharif is recited to pay homage to the greatness, and humbleness of Prophet Muhammad sallallahu Alaihiwa salam. Naat Sharif is recited by all Muslims in their own respective manner to show their dedicated love for beloved Prophet Muhammad. 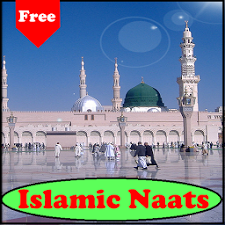 Many of the famous scholars in the earlier days of Islam wrote Naat. People who recite Naat are known as Naat-Khuwan or Sana-Khuwan.